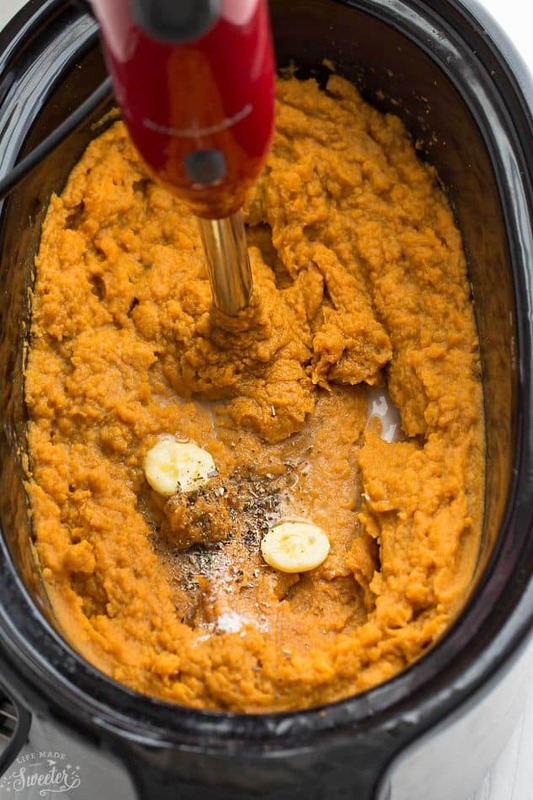 Slow Cooker Mashed Sweet Potatoes – the perfect simple & easy side dish for Thanksgiving. 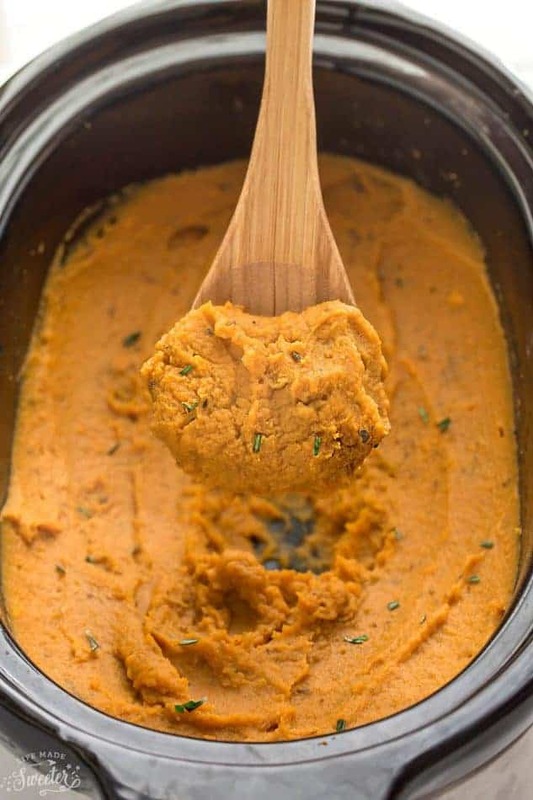 Best of all, super creamy and cooks entirely in your crock pot to help free up your oven. No preboiling required! If there’s one thing I look forward to on Thanksgiving and any big holiday meal, it’s the assortment of side dishes. While everyone is lining up for a piece of the big bird and dessert, I am happily grabbing some sort of roasted vegetables. 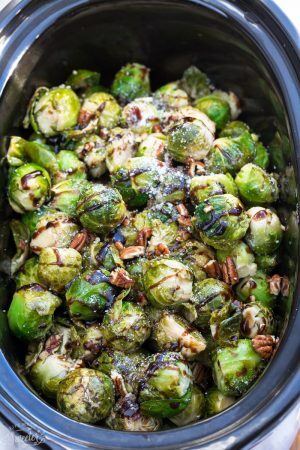 A plate of Maple Cinnamon Butternut Squash or these Balsamic Brussels Sprouts is always a must. And it’s not a special feast without some savory mashed sweet potatoes. They are my kiddos favorite dish and seriously all they would eat for 3 months straight when they were just starting on solids. I love using my slow cooker to make potatoes like these. 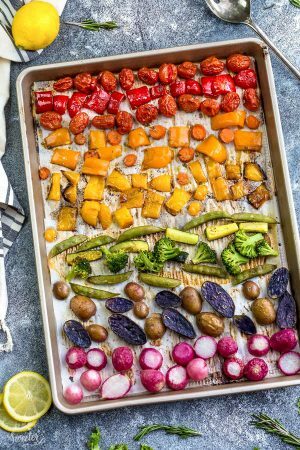 A few favorites include Slow Cooker Mashed Potatoes, Slow Cooker Rosemary Tri-Color Potatoes and Slow Cooker Pizza Potatoes. They all help free up the oven and the best part is –> no preboiling required! 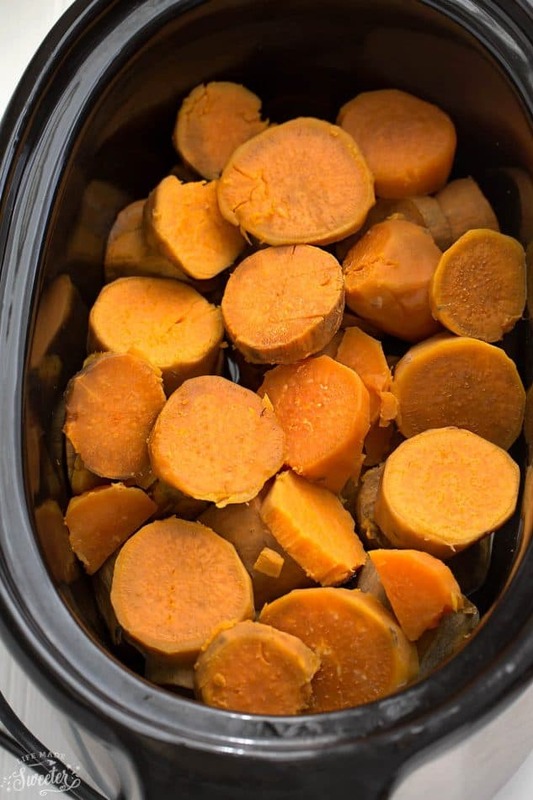 To start, you’ll want to slice them in half or quarters which helps to cut down the cooking time – it usually takes about 2.5 hours on high in my slow cooker. 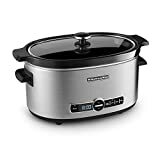 Once they’re soft and tender, just grab your electric mixer or a potato masher and mash them directly in the crock pot with some seasoning. I like to add some minced garlic, milk, butter, thyme and some salt and black pepper. We usually keep them fairly simple but you can totally jazz them up if you’d like. Sprinkle some cinnamon or nutmeg to spice them up or roast up your garlic and brown your butter for an even fancier version. For a vegan or paleo version, just use almond milk and coconut oil instead of butter. 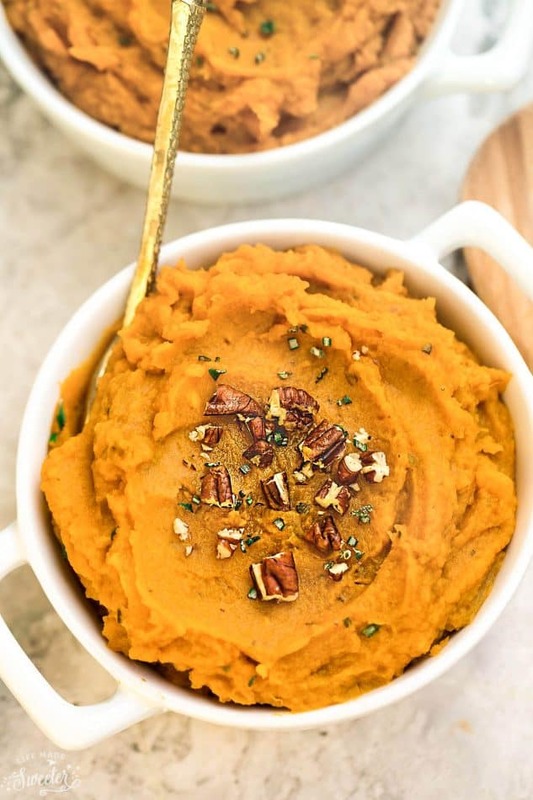 These mashed sweet potatoes whip up smooth and creamy and completely dreamy-licious. 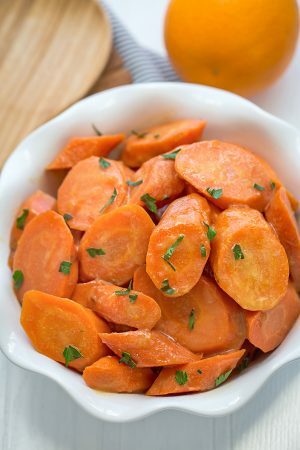 And, these make a great make ahead side dish. You can cook the potatoes the day before which helps to free up your oven for Thanksgiving and Christmas.